Algae play a vital role in maintaining the health of freshwater and marine ecosystems. These photosynthetic organisms sequester carbon, are the base of the aquatic food web, and contribute to nutrient cycling. Algae are incredibly diverse organisms that have evolved to inhabit a large range of aquatic conditions. Each taxon has specific physiological requirements and varies in its response to physical and chemical parameters. These specialized requirements allow algae to act as bioindicators of their environmental conditions. 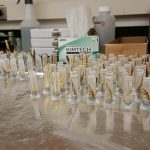 The sampling season is quickly approaching and it’s time to dust off your water quality instrumentation and get it ready for the field. Here are some of our top tips to make sure you collect the best possible data and maximize the value of your trip to the field. Fishing is important to outdoor enthusiasts, many of whom inherited their love of the sport as a legacy from earlier generations. 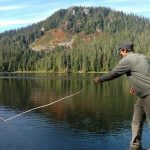 Some may enjoy the fight of a four-pound rainbow trout on a lightweight rod, while others also harvest fish to supplement their diet. Ensuring ample fishing opportunities for the general public has been the goal of fisheries managers. Reaching this goal often requires extensive knowledge of how populations change, which we call population dynamics. Butomus umbellatus, or flowering rush, is a perennial freshwater plant native to Eurasia and an introduced species in the Northern Tier of the U.S. This invasive aquatic weed has plagued lakes in the Midwest for a number of years. 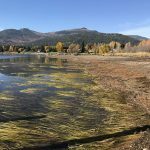 Closer to home, it became established in Flathead Lake, Montana, where by 2011 this weed was infesting over 2,000 acres. Flowering rush can grow as a shoreline emerged plant in shallow water or as a submerged aquatic weed in deeper waters. 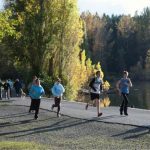 The Lakewood City Council took a step forward in the cleanup of Waughop Lake in March 2017 when it approved a lake management plan aimed at restoring the water quality of the 30-acre lake. The plan outlines two options for addressing recurring toxic algae blooms in the lake: applying alum or dredging the lake bottom. 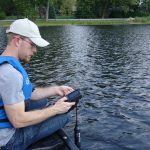 OTT Hydromet has a long history of offering dependable sensor technology in multiple parameter instruments for monitoring essential indicators required to assess water quality in natural waters. The OTT Hydromet family of long-term continuous monitors includes the HydroCAT-EP from Sea-Bird. 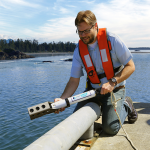 This sonde is unique in that it plumbs the pH sensor in-line with conductivity, temperature, optical dissolved oxygen, and pH.